Jan. 22, 1922. 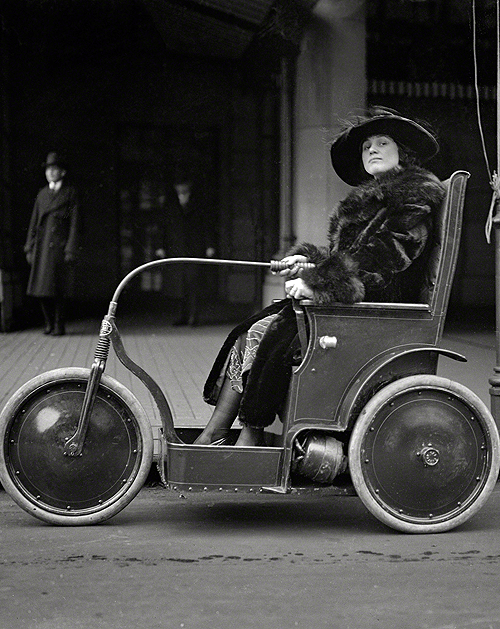 Washington, D.C. Woman in three-wheeled vehicle. I wish I knew more about this photo and the vehicle in particular. These were a kind of electric wheelchair that later became the “motorized scooters” we see at Walmart.